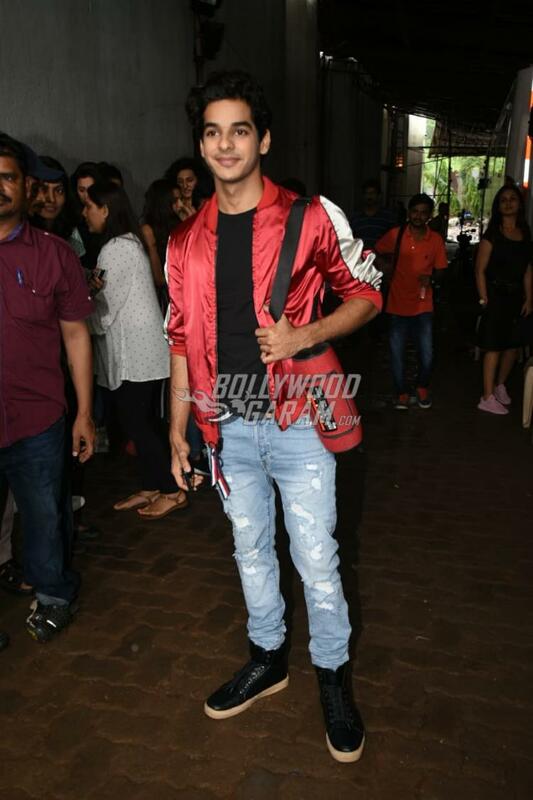 Janhvi Kapoor and Ishaan Khatter are busy promoting their upcoming film Dhadak, which will be released in theatres on July 20, 2018. 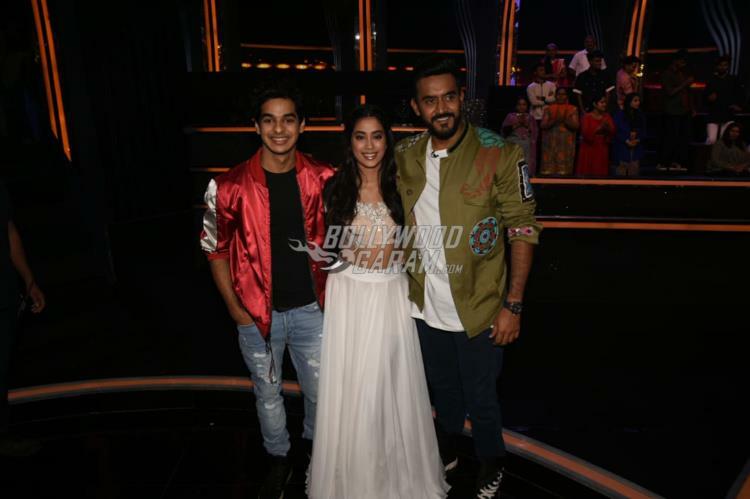 The young on-screen couple landed on the sets of the Dance Deewane in Mumbai on July 10, 2018. 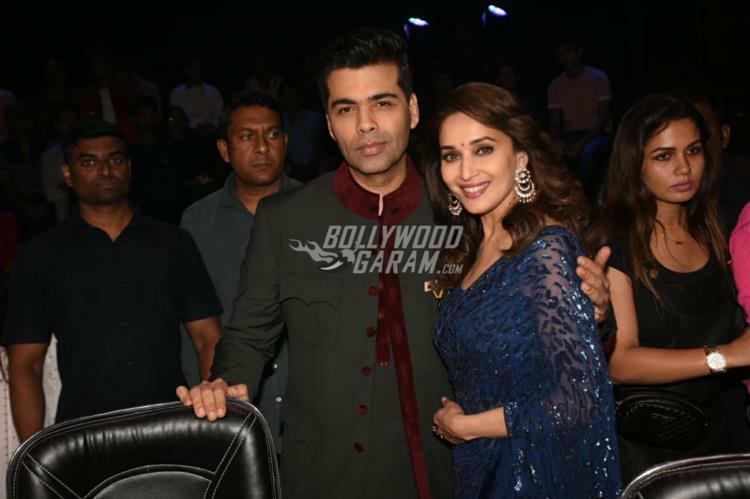 The show sets also saw the presence of Madhuri Dixit, Karan Johar and Dhadak director Shashank Khaitan. Janhvi for the promotional event looked pretty in a embellished crop top and a white skirt while co-star Ishaan was seen in a black t-shirt, a pair of denims and a shimmery red jacket. Producer Karan was seen in a black indo-western outfit while Madhuri looked pretty in a navy blue net sari. Director Shashank was seen in casuals. Karan and Madhuri were seen dancing to the tunes of a song. Ishaan too showed off some of his dancing skills on the show. Upcoming film Dhadak is directed by Shashank Khaitan and produced by Karan Johar’s Dharma Productions and will be released in theatres on July 20, 2018. The film will mark the debut of Boney Kapoor and Sridevi’s Bollywood.